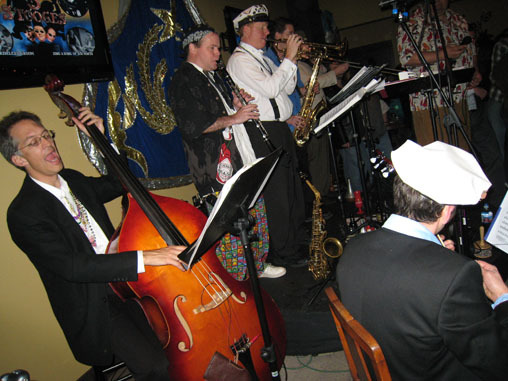 "Bug Horn Rex brings the horn sound and street stylings of New Orleans second-line jazz to life here on the West Coast. Formed in 2007 by a mixture of local players and Big Easy natives, familiar songs come to life with instrumental grooves and vocal arrangements. BHR is an established and exciting performance group at Bay Area clubs, parties, festivals and celebrations. Come join us for a creative and groovin’ time, great food and drinks, and a friendly comfortable environment. Laissez le Bon Temps Roulez!"